An all-seasons escape right inside Crozet, Mint Springs Valley Park is a true gem of Albemarle County, VA. This park is spread over 520 scenic acres near the base of Buck Elbow Mountain and is filled with both man-made and natural amenities to entice visitors of all ages. Native trees – including maple, poplar and oak – surround the park and offer a protective canopy for all who wish to explore. And explore you must! 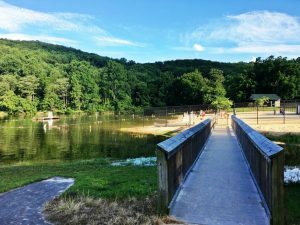 At Mint Springs Valley Park, experience hiking, mountain biking, fishing, swimming, a playground and more. The hiking trails at Mint Springs Valley are marked clearly and range from leisurely to difficult. The Lake and Upper Lake trails are the easiest hike, with very little change in elevation and a total distance of less than 1 mile. For something a little more strenuous, the Fire and Hollow trails provide the ideal opportunity to meander through the mountainside. Big Survey trail, while short in length, is a more difficult trail that is perfect for experienced hikers. Hiking is available throughout all seasons, and while the lush green foliage of spring and summer is beautiful, try hiking in the fall for a truly wondrous display of colors. Moving through the rest of the park, there are three lakes to enjoy: Upper Lake, Middle Lake and Lower Lake. 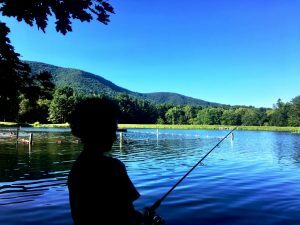 Fishing is permitted in each lake with proper licensure; expect to reel in crappie, trout, largemouth bass, channel catfish and sunfish. 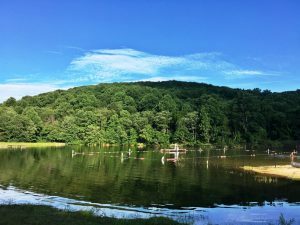 During the summer months, Upper Lake becomes one of Crozet’s most popular swimming spots, as it is transformed into a sandy beach. Lifeguards are on duty from 12 to 7 p.m. on swimming days to ensure the safety of guests. For a more leisurely day, have a picnic at one of the two shelters or seated along a hillside overlooking the park. If you prefer warm food, there are several open grills scattered through the park with ample seating around them. Children appreciate access to the park’s wheelchair-accessible playground, and restrooms are available onsite, for convenience. Mint Springs Valley Park is a local oasis filled with nature, wildlife and wonder. 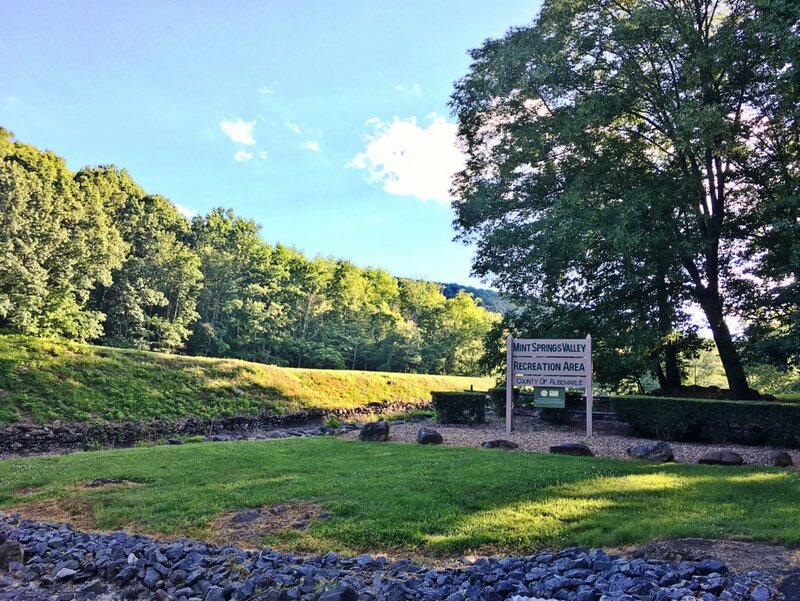 Your entrance fees – $3 per adult and $2 for each child, swimming is additional – ensure this park remains this way for future Crozet citizens, as well. Looking to move to Crozet? Search all Homes and Real Estate Currently for Sale.